The concerts are planned, the teams have been decided, and tickets have been bought. 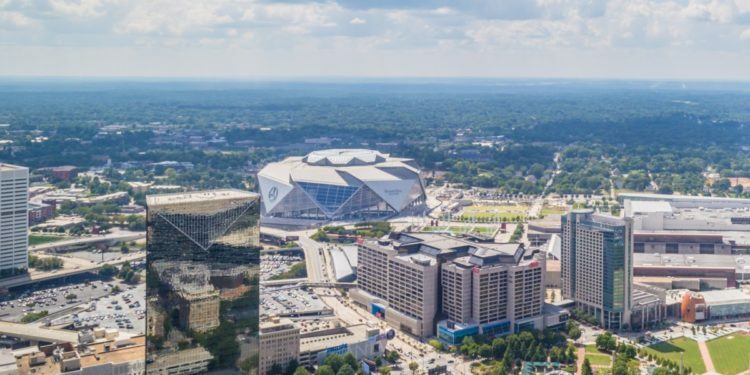 The only thing left to do to plan the ultimate Super Bowl LIII weekend in Atlanta is make your itinerary! 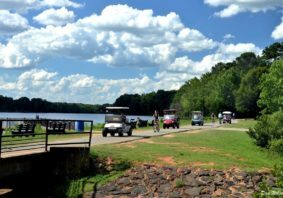 If you’re heading into Atlanta to cheer on your favorite team during the showdown at Mercedes-Benz Stadium, or you’re a die-hard Pats or Rams fan already living in Atlanta, then we have the ultimate list for you to experience the action while feeling like you’re back in Los Angeles or Foxborough. New England’s officially registered fan club in Atlanta, the Atlanta New England Patriots Meetup Club, meets at Hudson Grille at 6317 Roswell Road in Sandy Springs to watch each and every game during the season. The Patriots are also hosting an official travel package for fans heading to Atlanta with On Location Experiences, the NFL’s official hospitality partner. Travel packages are available that include travel arrangements, accommodations, official pregame party, gameday transportation to Mercedes-Benz Stadium, commemorative gift package, and the option to purchase game tickets. Tickets are still on sale for this once-in-a-lifetime experience. 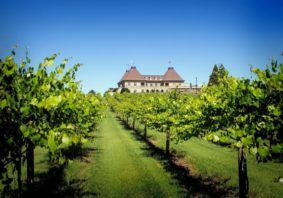 Foxborough, Massachusetts, home to Gillette Stadium and the New England Patriots, is known for its excellent Italian fare, and Atlanta has no shortage of Italian restaurants, either. Some of the best Italian food in Atlanta can be found at Babette’s Café, serving both French and Italian food in a quaint cottage on the edge of Freedom Park. 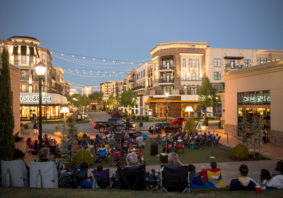 Other local favorites include La Grotta Ristorante Italiano in Buckhead and La Tavola Trattoria in Virginia Highland. 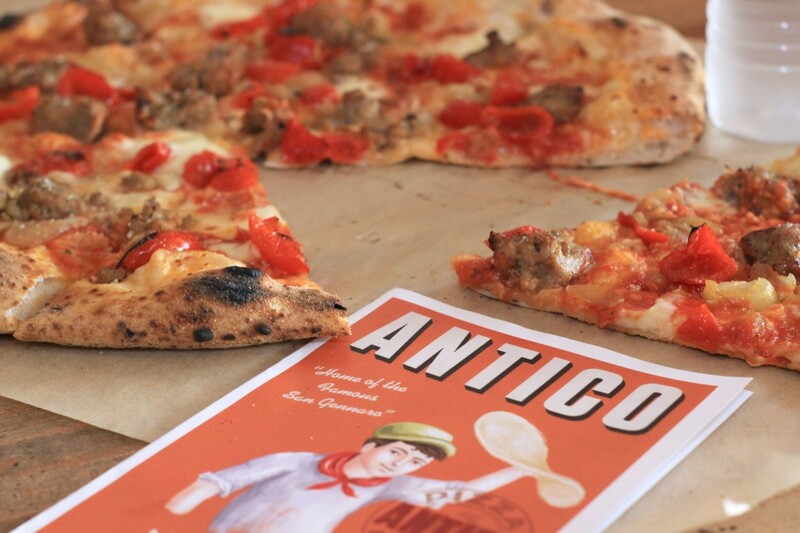 For authentic Italian pizza, you can’t miss Antico Pizza Napoletana, a local institution with several locations around town. And we’d be remiss if we didn’t mention that Davio’s Northern Italian Steakhouse, a favorite for fine dining in Foxborough, has a location right here in Atlanta at Phipps Plaza! Of course, you can’t talk about New England without talking about seafood. Coastal Massachusetts is known for its clams and, in particular, clam chowder. When searching for Atlanta’s best take on clam chowder, some of the menus offering up the dish can be found at C&S Seafood and Oyster Bar in Vinings, The Capital Grille with locations in Buckhead and Dunwoody and The Oceanaire Seafood Room, offering fresh seafood flown in daily in Midtown. Want just New England clams without the chowder? Don’t miss Atlanta Fish Market in Buckhead, offering a pot of steamer clams with dipping broth and drawn butter. Patriot fans are well acquainted with Patriot Place, an open-air shopping center surrounding Gillette Stadium. 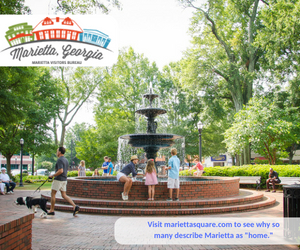 If you’re in town but aren’t heading to Mercedes-Benz for the game, you can get that same gameday vibe at The Battery, an open-air venue with shops, restaurants, bars and other entertainment options built around SunTrust Park, home of the Atlanta Braves. The official party for the Rams is also happening in conjunction with On Location Experiences, the NFL’s official hospitality partner. Ticket packages are still available for Rams fans looking for last-minute plans in Atlanta. The Rams currently play at Los Angeles Memorial Coliseum, which is located on the University of Southern California’s campus just south of downtown LA. 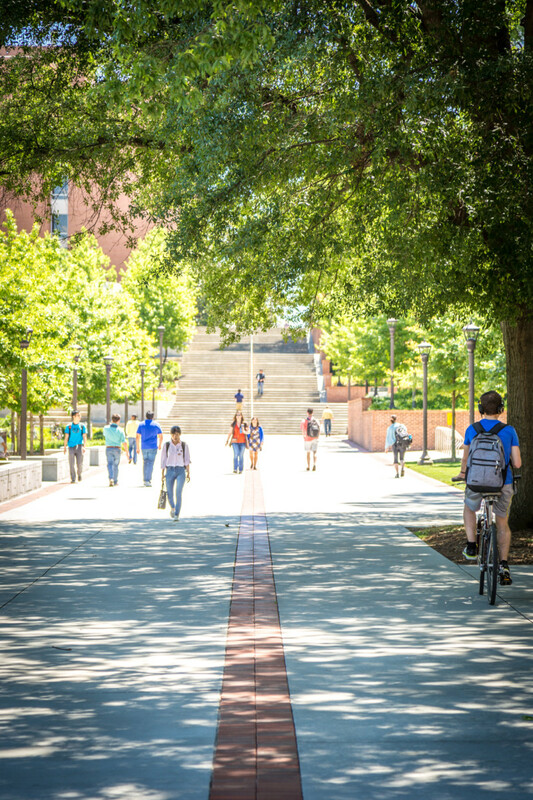 Downtown Atlanta is home to two universities – Georgia Tech and Georgia State – both of which are playing small roles in the Super Bowl festivities. Georgia State’s Creative Media Industries Institute, along with the United Way and Futurus, are transporting visitors at the Super Bowl Experience Driven by Hyundai into action in Mercedes-Benz Stadium using virtual reality (VR). The “Call the Play” VR experience will use curriculum from the Character Playbook, designed by United Way, the NFL and EverFi, immersing players in scenarios where they have to make difficult choices about how to handle challenging social situations like bullying. Georgia Tech will host the NFL’s 1st and Future Competition presented by Arrow Electronics, designed to spur innovation in athlete safety and performance. Competition categories include NFL Punt Analytics and Innovations to Advance Athlete Health and Safety, and winners will receive $20,000 to $50,000 along with tickets to Super Bowl LIII. The finalists in the competition will present to judges and an exclusive audience made up of NFL team owners and executives and representatives from the Atlanta Super Bowl Host Committee, Arrow Electronics and Georgia Tech on Tech’s campus over Super Bowl weekend. The Rams will soon move to the under-construction Los Angeles Stadium and Entertainment District at Hollywood Park in Inglewood. 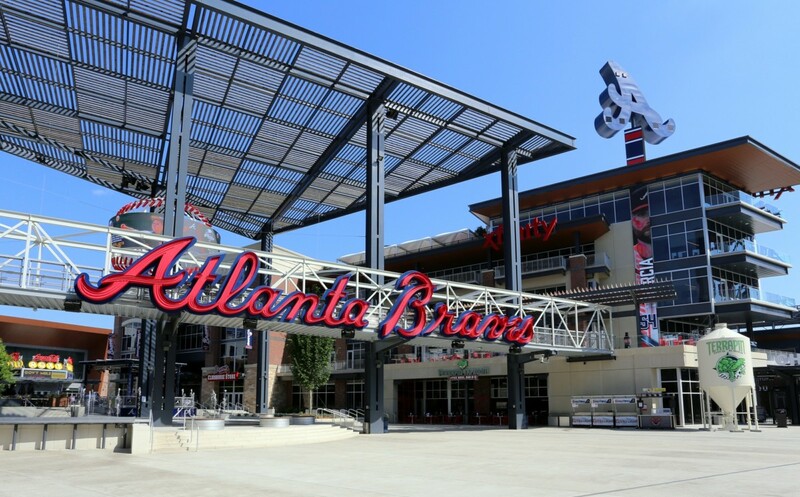 Ram fans visiting Atlanta can get a taste of what their future home will be like by visiting The Battery, the entertainment district surrounding SunTrust Park. LA Rams fans will also feel right at home in the “Hollywood of the South.” Georgia served as the filming location for more 2017 top box office earners (15) than any other U.S. city, including “A Bad Moms Christmas,” “All Eyes on Me,” “Baby Driver,” “Guardians of the Galaxy Vol. 2,” “Baywatch” and others. 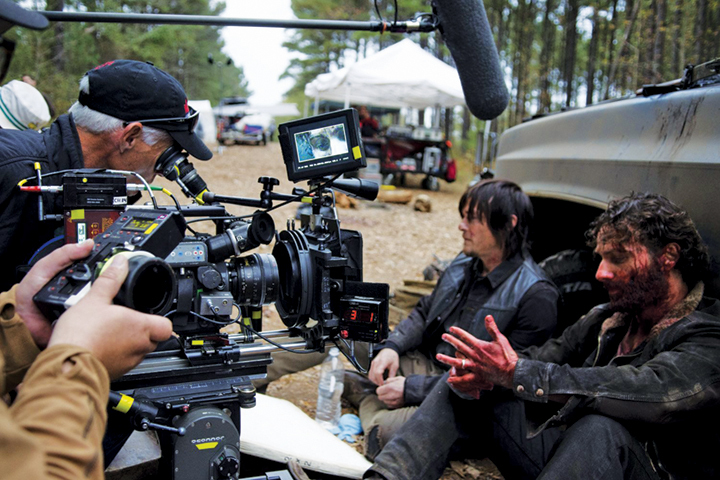 If you’re looking for something to do over the weekend, celebrate the area’s film boom with Atlanta Movie Tours. The company offers tours for all types of movie genres and interests. The City of Angels is well-known for its ethnic diversity, which makes it hard to pick just one specific food or restaurant that the city is known for. Thankfully, multiple lists already exist touting the best restaurants or dishes in LA. According to LA Weekly, Los Angeles does Chinese food better than anywhere else in the U.S. For authentic dim sum in Atlanta, visit Royal China or Canton House in Chamblee. To get your upscale dim sum fix, don’t miss Mandarin Oriental’s dim sum menu, offered only on Sundays. For East-West fusion, Orient Express in Vinings was voted the Best Chinese Restaurant in Atlanta, with second place going to Masterpiece in Duluth, headlined by James Beard-nominee chef Rui Liu. You can’t skip tacos on the list of foods LA is perhaps best known for – particularly taco trucks. Atlanta’s best-known taco trucks are Tex’s Tacos and Proposito, known for breakfast tacos. Traditional tacos like barbacoa and pastor are best enjoyed at El Taco Veloz, with five locations in Atlanta, while many consider El Rey’s tacos the best in Atlanta. If you plan to stay intown close to the stadium during your time in Atlanta, check out Rreal Tacos on 6th Street or Mi Barrio Mexican Restaurant in Grant Park. Finally, both Discover Los Angeles and Los Angeles Magazine named the French Dip sandwich at Philippe’s as, hands down, the best dish in LA. Try a French dip on gameday inside Mercedes-Benz Stadium at Gamechanger, a concession stand from Atlanta’s Kevin Gillespie of Top Chef fame. Just outside of the stadium, Elliott Street Deli and Pub has a French dip that locals rave about. And Brick Store Pub in Decatur and Houston’s, which has two Atlanta locations, are other spots that can give you your French dip fix. Don’t care who wins the big game? Just coming for the party or to say you were there? There is no shortage of events, concerts, parties and other celebrations to enjoy in Atlanta during the Super Bowl! An abundance of celebrities are in town hosting their own events or guest hosting events at well-known Atlanta party spots, including Lil Wayne, Snoop Dogg, Chad “OchoCinco” Johnson, Guy Fieri, Flo Rida, Dallas Austin and more, with tickets still on sale for many of the top parties. Atlanta is a city with a musical history, and concert options during the festivities are endless. Music fans can’t miss the EA Sports Bowl at the Bud Light Super Bowl Music Fest on January 31 featuring Ludacris, Migos, Lil Jon and others. The rest of the Bud Light Super Bowl Music Fest lineup includes Aerosmith and Post Malone on day two and Bruno Mars and Cardi B performing on day three. The NFL’s free fan village, Super Bowl Live presented by Verizon, will feature concerts produced by Jermaine Dupri with performers including Goodie Mob, Atlanta Bass All Stars and others, as well as fireworks and other fun events. 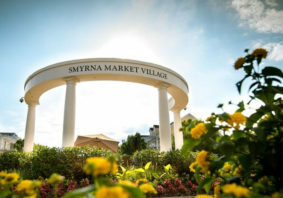 The village is open Jan. 26 – 28 and Jan. 31 – Feb. 2 at Centennial Olympic Park. Also happening all weekend long is the Super Bowl Experience Driven by Hyundai. The NFL’s interactive theme park, the event features immersive exhibits and interactive games, a chance to collect player and legend autographs, see all 52 Super Bowl rings and train like an NFL star at the Combine Corner. Open Jan. 26 – Feb. 2 at the Georgia World Congress Center Building B, prices and times vary based on the date. Learn more and purchase tickets on the official Super Bowl 53 website. If you’re in town early, festivities kick off with Super Bowl Opening Night Fueled by Gatorade, a press conference and fan experience event on Monday, January 28 at 7 p.m. at State Farm Arena. The event will also be televised live on NFL Network and CBS Sports Network, but attending gives you the opportunity to win two tickets to the big game! Tickets are just $29 and are currently available online.